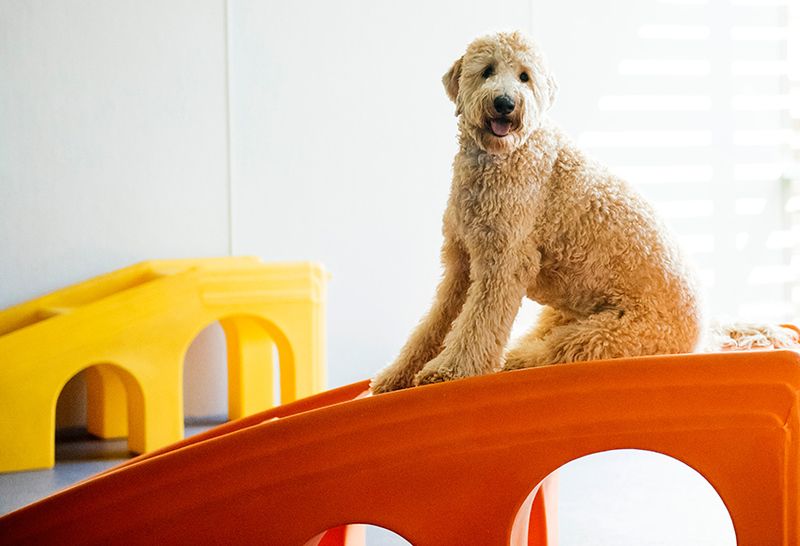 Your dog might be a little too excited to go places or see the new person that’s come over for a visit. But are they the type to come a little too close or rush out the door? Small dogs are likely to be sneaky and can get through small corners, while dogs of all sizes might start barking the moment they see someone is at the door. You can minimize this behaviour by constant and repetitive training. Barking can also be a common thing for a dog to do, especially when they see a person at the door. 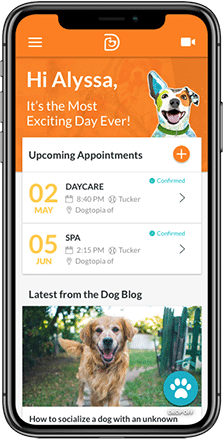 At Dogtopia, we work with the dogs to desensitize them to door activity while they’re in the playrooms and make sure that their training continues once they leave our daycares. Create your “my” space: The space at the door is your space that your pet should know isn’t allowed to come near, when you’re at the door. Redirect their attention: Teach them to sit and not bark when there’s activity by the door. Doing so and rewarding them for their behaviour will teach them that it’s okay to be by the door but not okay to frighten any visitors or be dominating in the conversation between the humans. Practice makes perfect: try to practice with dog even when you’re not using the door or heading out. 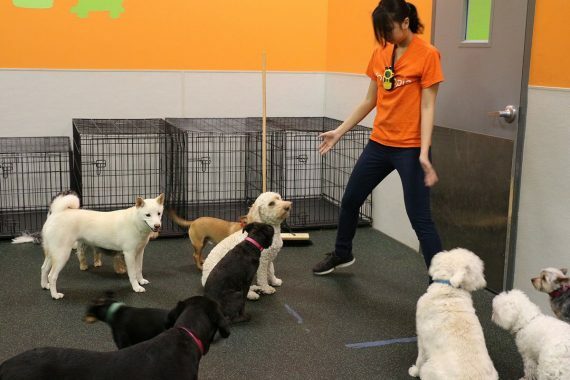 Repetition can help reinforce the behaviour so that your dog knows not to go there. Strong stimulation means no contact: If you’re the parent to a dog with high mental stimulation to door activity, it’s best to avoid contact with your dog upon entering your home. The dog should be calm, as high-energy can result in bad behaviours like peeing in the homes, etc. Wait until your dog has calm and sat down before greeting them. My dog doesn’t want me to leave. What do I do? Separation anxiety can be a big problem with your pet, and it’s not a breed-specific behaviour either. They should have consistent training throughout their life to make sure that this psychological behaviour decreases. It’s also best to keep this training going if they’re older and more developed. Possessiveness can also come with separation anxiety, that they’ll tend to come between their pet parent and another person. 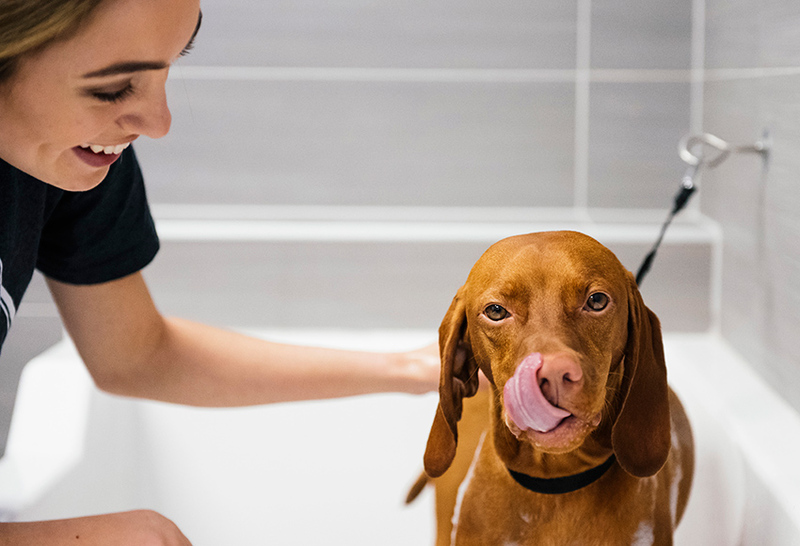 Telling them the same command you give to your pet to deter a behaviour, such as “leave it”, “drop it” or “ah-ah” can help in letting them know that this is also a bad behaviour. 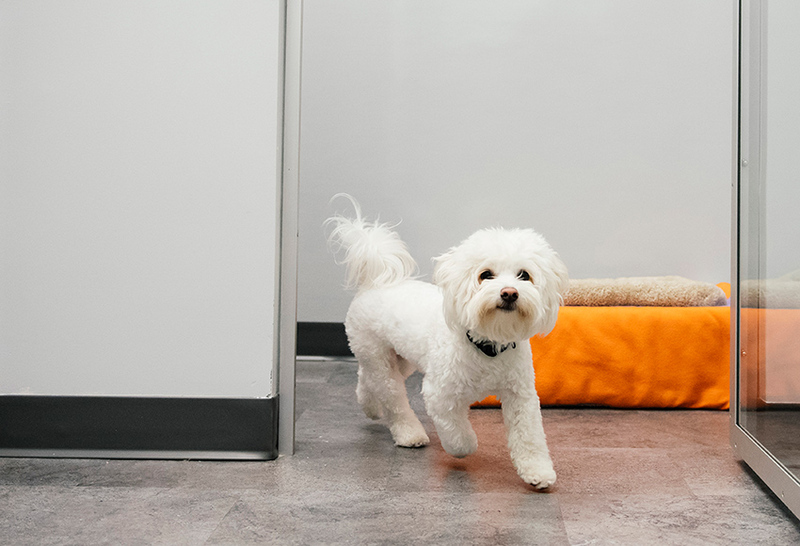 Is your intact dog suited for daycare?